First published in 1986, this book sets Kipling firmly in the historical context not only of contemporary India but of prior Anglo-Indian writers about India. Despite his enthusiastic reception in England as ‘revealer of the East’, in India he seems to have been regarded as just one more Anglo-Indian writer. 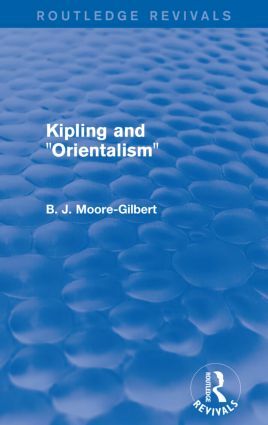 The author demonstrates the traditionalism of Kipling’s use of the themes of Anglo-Indian fiction – themes such as the ‘White Man’s grave’, domestic instability, frustration and loneliness. In particular, Kipling is shown to be writing in a strongly conservative idiom, concentrating on the role of the British hierarchy as the determining factor in a response to India, on British insecurity and fears of a repeat of 1857 mutiny, and regarding Indian institutions only in so far as they represented a threat to British rule. Conservative critiques of liberalism are also discussed.